Cake pops that reflect your unique personality! Hello! I’m Jennifer DaDante, owner of Jenni Pops, and I understand the importance of good food and the amazing way it brings people together. 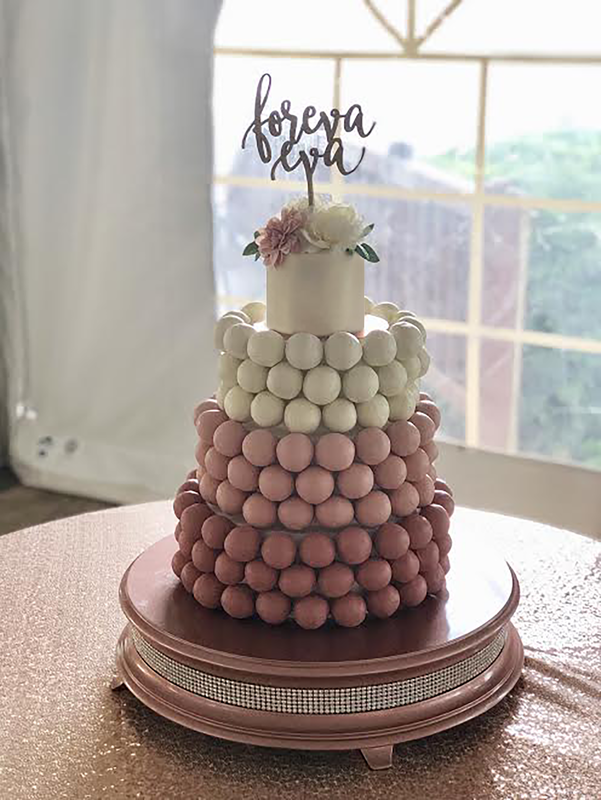 I’ve combined my two greatest loves, art and baking, to create cake pops that are not only beyond delicious, but help you tell the story of your important day in a show-stopping and memorable way. They’re 100% customizable to your event and can complement any theme or vibe. They’re locally-designed and handmade (Go, Cleveland!). They’re created by an artist, so each cake pop is a work of art. They’re good. Like, really, really good. I can’t wait to make your special occasion even more special! If you're a fan of sweets and all things incredibly adorable - meet Jenni Pops! Jenni Pops is a local bakery that specializes in beautifully hand-crafted and completely customizable cake pops for any occasion. From your birthday party to bridal shower and wedding reception, they can craft any kind of cake pop to pair perfectly with any event! Their cake pops are 100% customizable to your event and can compliment any theme. Each cake pop is individually created by one of their pastry artists - every one is a unique work of art! There are gluten free flavors, too! We can’t wait to make your special occasion even more special!